Historical Philadelphia is renowned for its oldest remaining botanical garden in all of North America – Bartram’s Garden built and planted in 1728. When visiting, guests will privy to see many rare and non-native plants like a Chinese ginko tree that is the last of its kind in the United States. The grounds cover over 46 acres that surround the home of the famed botanist, and explorer John Bartram. Stop in to see these rare and beautiful plants while learning about John Bartram and his contributions to botany. 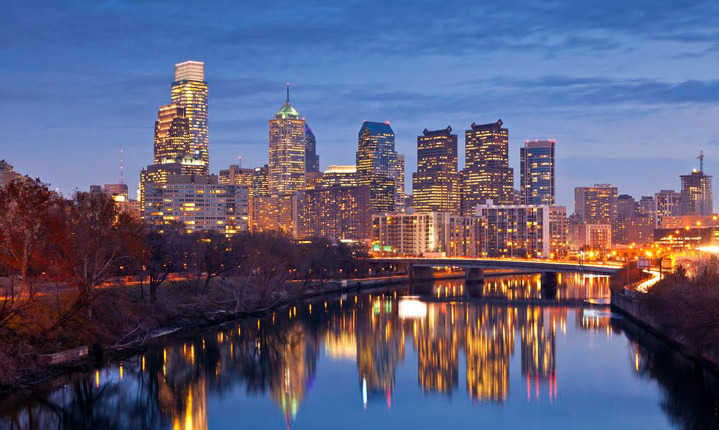 Another great historical spot to visit is the Philadelphia Zoo, notably, known for its many successful attempts at breeding endangered animals which are particularly hard to breed in captivity. The Philadelphia zoo was the first ever established in the United States and visitors will be delighted to see more than 1,300 different species upon their visit, including several rare animals. XFinity Live! Is located in the Wells Fargo Complex in Philadelphia. The area is comprised of more than a dozen different trendy entertainment and dining venues that feature great food and popular acts. Restaurants here include the Spectrum Grill, Victory Beer Hall, NBC Sports Arena, XBAR, PBR Bar & Grill and the Broad Street Bullies Pub. Lastly, The Independence Seaport Museum is the place to go to learn about Philadelphia’s maritime history. Featuring interactive exhibits, art, artifacts and actual vessels, this is a great destination for young and old alike to immerse themselves in an engaging educational experience. When you visit you will encounter exhibits about the Port of Philadelphia, immigration, trade, deep sea submersibles and shipbuilding. See all Homes For Sale in Philadelphia .